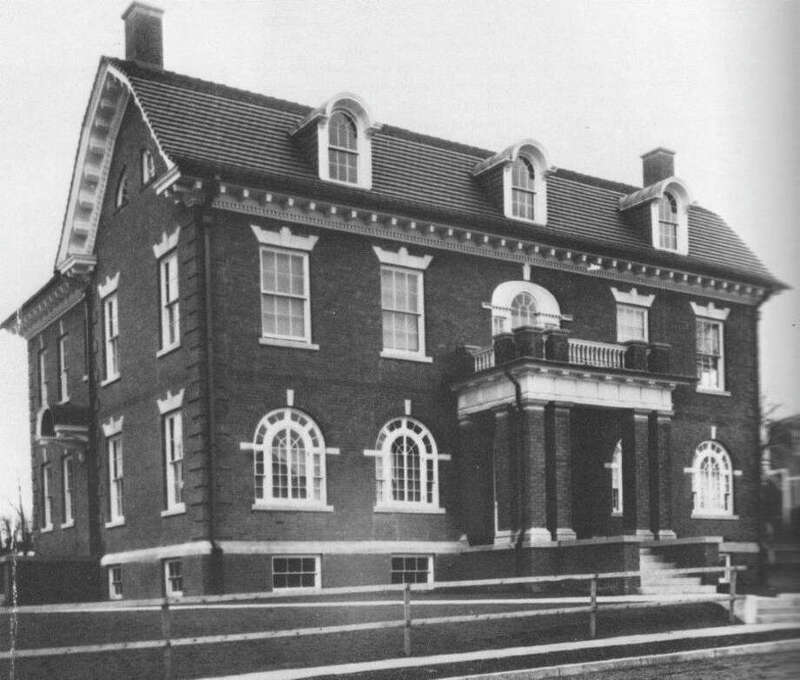 The original Wakeman Boys Club, now a private home on Harbor Road in Southport, opened on Christmas Day in 1913, at first offering a handful of non-athletic activities such as woodworking. It started with just a few activities for a handful of Southport boys in 1913. A century later, it has morphed into a multi-faceted institution that is not solely for boys, not based in Southport alone and limited not to just a few activities but a range for programs for more than 4,000 young people. But the mission of the Wakeman Boys and Girls Club, as it celebrated its centennial on Christmas Day, remains the same: "To guide and inspire young people, especially those who need us most, to reach their full potential as productive, caring and responsible citizens." No more visible of how the club has changed -- but remained true to its century-old mission -- is the opening of its Smilow-Burroughs Clubhouse in Bridgeport two years ago. "There are a lot of activities here I can do and a lot of friends that still come here," Zula Blair, a 12-year-old student at James J. Curiale School in Bridgeport, said during a recent visiting to the club. "I just like coming. ... Because there's so much stuff to do." Zula was a cheerleader last year for the boys' basketball team at the club, and her favorite activities include playing carpet ball and air hockey in the clubhouse's game room on the second floor. Yolymar Vega, 11, also a Curiale student, said she likes the club's technology room, which has 25 computers, and its art studio, gymnasium and game room. Yolymar said she likes to play dodgeball in the gym and ping-pong, pool, air hockey and video games in the game room. "When I come here, I like to hang out with my friends and do most of the activities they give us," said Jayden Ramirez, 11, a sixth-grader at Black Rock School in Bridgeport. "I like going to the computer room, and I also like the game room. The computer is so interesting to play around with. "If this isn't here, I wouldn't have anything to do after school," Jayden said. Zula, Yolymar, Jayden and Byron Francis, a sixth-grader at Curiale, said they also appreciate the mandatory homework class, which lasts for 40 minutes during the after-school program from 2:45 to 6 p.m. at the Bridgeport clubhouse. "It's helpful because if I don't understand a question, they will know what you're supposed to do," Byron said. He said he most likes to draw in the art studio, use the computers, play dodgeball and basketball in the gym and hang out with friends. Wakeman's Smilow-Burroughs Clubhouse, which also has a full commercial kitchen where cooking classes are held, a fitness studio, cafe and teen lounge, opened in June 2011 after a $7 million capital campaign. The Bridgeport clubhouse, however, is only one of the major changes at Wakeman Boys & Girls Club since it opened in Southport a century ago. The Wakeman Boys Club, as it was then known, then focused on sports and recreation but has grown into three separate clubs where educational support, arts and crafts, leadership training and community service have joined sports as core elements of its programming. "I think that the program format has really changed. It's much more diverse," said David Blagys, Wakeman's executive director since 1984 and its assistant director for three years before that. "We're really not just providing opportunities for athletes, but activities that make the kids much more well-rounded. "Athletics is often the hook to get kids involved in the club, but they get more involved in other aspects," he said. Kevin Simmons, who runs the Smilow-Burroughs Clubhouse and had attended Wakeman's Southport club as a child in the 1970s and '80s, said, "When you look at the growth of the original over the years, it's almost mind boggling." The Wakeman club traces its origins to a house on Harbor Road across from Pequot Yacht Club. It primarily offered passive recreation, such as woodworking, board games and reading, though the club had a gym on the second floor of the yacht club, according to Blagys. In 1954, a clubhouse was built on Center Street a few blocks away, and basketball, football, baseball, boxing, tennis, a game room and an exercise room were among the offerings. The current club on Center Street in the Southport section of town no longer offers boxing or football, but a second gymnasium was added in 1992 named after Lynne Warren, one of Wakeman's trustees and a major benefactor. A synthetic turf field was added in 2005 where lacrosse and field hockey are now played. "The bigger chunks of time, in terms of athletics, are spent on lacrosse and basketball," Blagys said. He said the club has 56 youth basketball teams, and more than 800 kids played lacrosse last year. The 2005 capital campaign also funded a computer center, arts and crafts studio, weight room, lobby and expanded parking lot at the Center Street home base. The clubhouse also now has a homework help room, conference room and teen lounge, and the game room offers ping-pong, pool, foosball, air hockey, shuffleboard and video games. The Southport club also offers character and leadership programs through the Boys and Girls Club of America, and it has a Torch Club and Keystone Club where members participate in community-service projects, which include mentoring and working at soup kitchens and convalescent homes, Blagys said. "The perception is we're either a lacrosse club or a basketball club, and the reality is we do so much more than that," he said. Wakeman's originally was a club for boys, but Blagys and Simmons said the club's doors were open to girls long before the club decided to formally include girls in its name about 30 years ago. "They had been providing activities for girls all along, but didn't actually change the name till '83," Blagys said. Kait Herman, who attended the club as a girl and is one of six former club members to work at Wakeman's, said the addition of the second gym helped attract many girls to join the club. The original gym on Center Street was named for the late Edward "Red" Baker, who ran Wakeman's Club from 1945 to 1975 and was one of 14 people inducted into Wakeman's Hall of Fame in October. Tom Graham, a member of Wakeman's board of trustees for 30 years, said Wakeman's now focuses less on competition in organized sports and more on teaching skills and ensuring that everyone gets a chance to play. Simmons said the Smilow-Burroughs Clubhouse offers programs similar to those at the Southport clubhouse, but is more structured. He said members in third through eighth grades are required to attend the homework help session. "The one choice they don't have is to skip homework. They have to go through one of the learning centers each day," he said. Simmons said the technology center at the Smilow-Burroughs Clubhouse has 25 computers -- more than double the number in Southport -- because many Bridgeport club members don't have a computer at home. He said the club also encourages young people to explore the option of attending private high schools and last August took 10 students on a tour of colleges in the Northeast and South in what he hopes will become an annual trip. "Right now we're searching for funding for that program," he said. "That's probably one of the most valuable programs we offer, particularly to high school students." Wakeman's opened a clubhouse at First Presbyterian Church on Easton Turnpike in 2003 because many of the Southport club's members live on the other side of Fairfield, Blagys said. The Easton Turnpike clubhouse has a gymnasium, game room, computer center, cooking classes and arts and crafts, he said. "They do a lot of the same things we do here (in Southport), but on a smaller scale, and they use church rooms adapted for their use," he said. Wakeman's also now offers programs at McKinley School, where 65 to 70 high school students in Fairfield travel to the Thompson Street elementary school to mentor and tutor students, Blagys said. The Wakeman clubhouse on Center Street, however, remains the most popular, with 3,000 members -- Smilow-Burroughs has about 750 members and Easton Turnpike site has about 250 members, Blagys said. Simmons said the fee to join the Smilow-Burroughs Clubhouse is $100 a year, but financial aid is available. "We do a lot of scholarships here," he said. "Our commitment is to never turn somebody away because of their inability to pay." Most Wakeman members are boys and girls from third grade through high school, but the Southport clubhouse is open to adults when schools are in session; adults can take yoga classes and play basketball and Ultimate Frisbee, Blagys said. For students, the Southport club is open weekdays from the time schools let out until 9:30 p.m. and weekends as well. "When the school year stops, we do summer camp programs all summer," Blagys added. Simmons said summer camps at the Smilow-Burroughs Clubhouse include science programs developed by the Boys and Girls Club of America. He said the Bridgeport clubhouse also has Keystone and Torch clubs that encourages kids to do community service. "For many of the kids here, it's an opportunity for them to give back. It's nice for those kids, who are often on the receiving end, to have an opportunity to give back to the community in some fashion," he said. Wakeman now employs 14 full-time staff members, 130 to 150 seasonal, part-time workers and has about 250 volunteers, Blagys said. "The human resources we rely on to make this all work is considerable," he said. "The staff here really lives and breathes this place ... They're all here early, they all stay late. It's evident in the programs we put out and the reputation the organization has." The Wakeman's Boys & Girls Club is privately funded, and Blagys said the organization has an annual budget of $2.3 million, about $1.1 million has to be raised each year through donations, golf outings, auctions, celebrity breakfasts and foundation grants. "That's the challenge all of us in the nonprofit arena have," Blagys said of raising money. "It's a constant exercise to keep the club above water, but we've managed to do that." He said the club receives $25,000 and $30,000 donations from individuals, and "if that person goes away, that's a big hole to fill." Blagys said Wakeman's has conducted three major capital campaigns during his 32-year tenure, and they paid for the second gym and synthetic turf field in Southport and the Smilow-Burroughs Clubhouse. "Right now, we have nothing on the drawing board specifically, but the whole aspect of reaching as many kids as possible is inherent and in the minds of our board members, so we will continue to develop and enhance the program services at each one of our sites," he said.